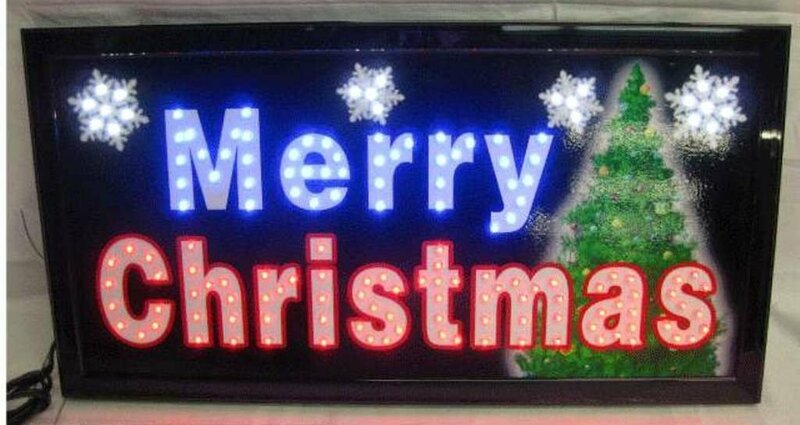 I have do not have any Merry Christmas lighted signs but every year I have always used the Merry Xmas decals in the windows to let people know I was in the Christmas spirit. The problem with these decals and non lighted signs is that they are almost impossible to see at night which means that visitors and people passing by only get the full benefit of your decorations during the day. Using lights will allow your message to pop throughout the entire day in your window. There is no doubt that some people enjoy decorating more than others when it comes any holiday throughout the year. I am that individual who normally puts up a Christmas tree and some things in the window and that is that. Others love to have a wide array of lawn ornaments, stuff on the doors, the tree, garland on the staircase, and decorations in every room of the house so that you never forget what month it is. Find more Xmas signs here! Great thing about the lighted Merry Christmas signs above is that they can be used by people on both sides of the spectrum and anyone in between. They sit beautifully in the corner of large windows or centered in a small window. 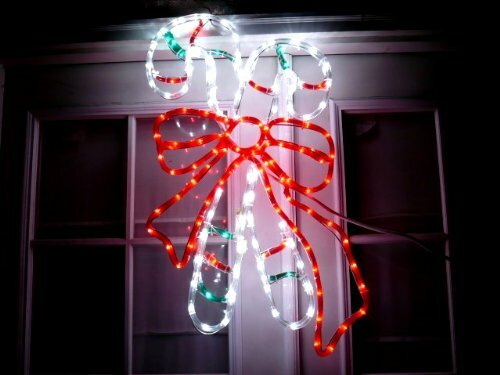 Not to mention these are a great way to decorate a store front for Christmas without having to worry about the integrity of the inside of your store or office with the addition of holiday decor. One of these signs and a small tabletop tree can be all you need to get everyone into a cheery mood. A friend of mine owns a game store and he already has a lot of decals and such for games in the store window. Every part of the store has already been arranged ideally to promote merchandise so it is not practical to try to add a lot of garland, tinsel, or other ornaments around the store. A sign like this easily fits next to the “We are Open” sign and gives a friendly nod to anyone walking by or walking into the store. As you can see, the two top signs are very traditional Merry Christmas lighted signs that say your message very straightforward to anyone who sees it. While there is nothing wrong with these signs at all, my favorite is by far the Christmas Tree sign. The reason why I love this one is because it doesn’t rely on words. Nothing is worse than having part of your sign go out and people not being able to read what it says. The green lighted tree says Happy Holidays! and the flashing stars are very attention grabbing. As an update to this post you will notice that the Xmas tree sign is no longer available for sale but I have found a great replacement with a festive Candy Cane light that also works well for the holidays without coming out and directly saying Merry Christmas. Great for indoors and outdoors! What do you like to put in your window?? ← Saddest Christmas Song Ever – Shoes Can Bring Tears?